A walk around Eureka Park at CES will always lead you to something new and exciting that will make you literally want to put your hands on it. Modular Robotics was no exception, as their namesake product allowed us to do just that. The company has created a line of blocks that all have little computer chips inside them that allow them to act and react to each other. Using blocks such as sensors, rollers, blinking lights, motors and more, you can build any type of creation you want, and then even program the blocks yourself to do things you want it to do. 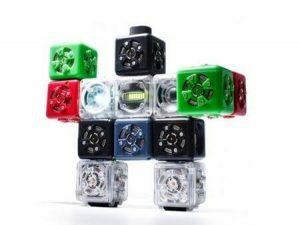 These cool gadgets are for ages 6-60 and are a great stocking stuffer or birthday present for anyone, young or old. You’ll want to see what we created in the video. Video by Nicholas DiMeo of F5 Live. Meet Luci. She’s an inflatable, portable, extremely lightweight, life-saving solar-powered LED lantern. Why life-saving? Well, for starters, for every lantern we purchase here, one Luci will be donated to a developing country to literally give them light. 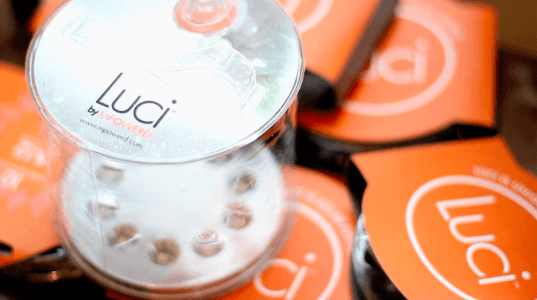 Founder and CEO of MPOWERED, Jacques-Philippe Piverger, talks about Luci and how she proved to be an effective tool not only during the power outages in NYC but even in developing countries that usually depend on dirty and costly fuel for energy. Luci has been such a success, in fact, that she’s reached the top spot in Amazon’s outdoor and camping category, after just only two months of being on shelves. It was really a pleasure talking to Jacques-Philippe as you could really feel the passion for his product and for the cause during the interview. It’s one of the many great things about Eureka Park at CES. After over 20 years of research and based on the emWave2, HeartMath has created the Inner Balance Digital App. The Inner Balance Digital app can help you reduce stress in your life. The product consist of an iOs app which is available for iPad and iPhone and the HeartMath sensor that clips to your ear. It reads your heart and breathing. It trains you through twice a day daily use to main proper breathing of 5 seconds in and 5 seconds out. You also learn to reach a calm aware Zen state where your heart beats at an even rate and its graph looks like rolling hills instead of jagged mountains when you are under stress. The app shows you both your breathing rate and your heart beat. When you are through your results are shown in easy to read graphs and charts. The sensor and app together should sell around $99.00. Inner Balance Digital app will be available soon at the Inner Balance website. To receive a pre-release version send an email to info@heartmath.com. Interview by Todd Cochrane of Geek News Central for the TechPodcast Network. and by Don Baine, the Gadget Professor. Pelican began in the 1970s making equipment for the scuba market. They quickly expanded into making equipment cases for police, fire, rescue and the military. Pelican has recently gone into the consumer market. Their newest product line is the Pro-Gear Urban and Sports backpacks. These backpacks each have a copolymer blend plastic compartment that will hold up to a 17 inch Macbook. There is also one on the front for a tablet. The front compartment also has plenty of room for accessories. Both compartment have an O ring seal and are well padded and crush proof. There is also normal backpack compartments for your cloths and necessities. Interview by Todd Cochrane of Geek News Central for the TechPodcast Network, and by Don Baine, the Gadget Professor. With over 2 billion wireless devices (mobile phones) produced every year, the recycling and reuse of these gadgets is an important environmental issue. Todd chats to Perry LaForge of the Device Renewal Forum about how many major companies are now approaching the issue. The DRF’s mission is “to expand the growth of the device renewal market through the development of a common and branded certification process for renewed wireless devices”, which means that for consumers, a DRF-certified device will have been properly processed, removing any traces of the previous owners data, and confirms that the phone meets the technical requirements for use on a mobile network. Several major companies, such as Sprint, are joining the scheme and for the sake of the planet, let’s hope the DRF is a success. HDMI is great interconnect technology but it’s really only designed for relatively short cable runs. What do you do if you want to send a 4K UltraHD picture 100ft? PhaseHD have the answer. Canadian outfit phaseHD uses standard, albeit long, HDMI cables with smart adaptors on each end of the cable to transmit a clean signal at one end and boost the received signal at the other, while preserving the control signals needed for encrypted content. Obviously it’s more complicated than that and it’s definitely worth watching the video to understand how this technology differs from the video extenders that use cat 6 network cabling for long runs. It’s not cheap either, with the expected price around $500-$600. Expect to see early adoption by event management companies and sports bars. Interview by Todd Cochrane of Geek News Central and Don Baine, the Gadget Professor for the TechPodcast Network. GNC first saw Sphero at CES last year and it’s a really cool toy: a rugged waterproof ball controlled from a smartphone or tablet. So what has Sphero been up to in the past year…Todd and Don find out from Ian Bernstein, CTO Founder. While the hardware is unchanged from last year, Sphero has grown the number and type of companion apps from around 5 apps to over 20 with several produced by third parties. New on the scene is a mixed reality app which uses the tablet or smartphone’s camera to track Sphero and overlay Sharky the Beaver on the device’s screen. It’s particularly fun as the real-world interaction with Sphero creates a relationship with the cartoon character which makes it that bit more believable. Here’s some insight into the world of design – taking standard features and capabilities and presenting them in a fresh way. Vivick Designs in headquartered in Vancouver, BC and, since 1986 has been behind many of the designs for products we use and wear. In this interview, we look at two novel designs, one for a LED study lamp that combines a Bluetooth speaker system – and also allows connection from the regular desktop computer, and the other a portable power supply that is designed to power devices such as tablet or smartphone when regular AC mains power is not available. It includes a means of stowing the line cord, all a part of the design for use that the company has as a specialty. TPN Interview by Andy McCaskey, SDRNews and Scott Ertz, F5 Live: Refreshing Technology . Keeping data secure without having to load special drivers or programs offers a lot of appeal. RocStor builds ruggedized drive enclosures with built in encryption that mount just like a regular portable drive. Using access cards or a hardware token, the drive is built so that tampering will be immediately obvious. The drives are fully bootable in both Apple OSX and in Windows 7 and 8. It is particularly useful for financial workers, doctors, lawyers and others with high value data. Originally designed for US Government applications, this USA manufactured product begins at $250 for a 1TB drive. Firewire and USB interfaces are available. TPN Interview by Andy McCaskey, SDRNews and Scott Ertz, F5 Live: Refreshing Technology . 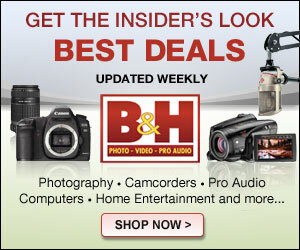 The distribution of HD content within the home has been a problem – if you want to preserve video quality. HD Home Run is an established product that permits you to have the output of up to three tuners converted to broadcast quality MPEG-2, and then distributing it through the wired home network. However, as soon as you add a device like a smartphone or tablet, you will find that the on-board devices are just not able to keep up with the decoding task. Plus, the bandwidth on the home WiFi network is not going to be able to keep up. Networking of video in the home, using Conditional Access you are able to stream video to any connected device – wired, or wireless Android or iOs. The new HD Home Run system takes up to four separate video streams and does a real time transcode of the MPEG-2 to H.264 that can be carried over WiFi, and easily decoded by the processor in the tablet or smartphone. The new system is fully compatible with Windows8. 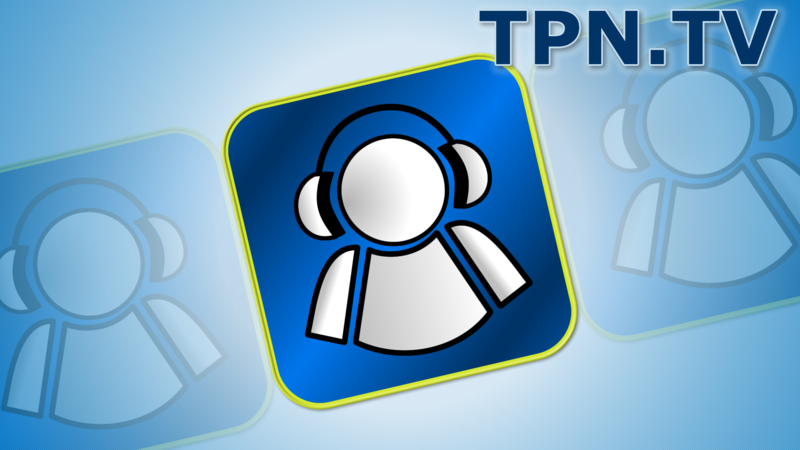 TPN Interview by Andy McCaskey, SDRNews .